JAMB lists 16 prohibited items for candidates as UTME kicks off on Friday – Royal Times of Nigeria. The Joint Admission Matriculation Board in a document obtained by PREMIUM Times and signed by the JAMB registrar, Ishaq Oloyede, has warned its candidates of ahead of the Unified Tertiary Matriculation Examination (UTME) which will begin on Friday, March 9 to March 17. 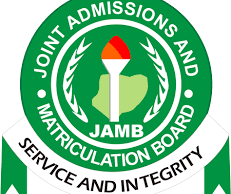 The Joint Admission Matriculation Board (JAMB) warned candidates against bringing in prohibited items into the examination halls, adding that the prohibited items were banned in order to secure the sanctity and integrity of the board’s examination. “Where examination official (Board staff or Adhoc staff) or any authorised person is found with any of these prohibited items in the examination hall, such compromising action would be treated as a deliberate act of examination sabotage and necessary sanction will be applied”. About 1.6 million candidates are expected to write the examination in 602 centres across the country. 7) Books or any reading/writing material.